The Airbus A380 is the next big thing to happen to air travel since the Boeing 747 Jumbo. During the course of the year and 2009 we should be getting more and more of the super Jumbo. 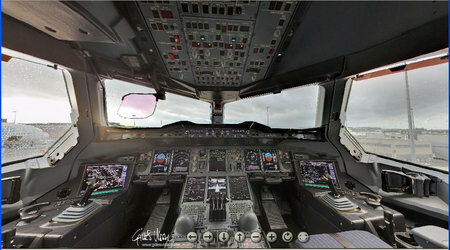 Ever wonder how does the flight deck of this mammoth look like, check it out in its full 3D glory.